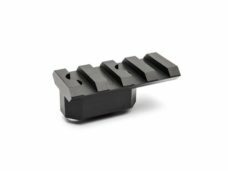 Our series of MIL-STD-1913 Picatinny rails allows the mounting of a variety of optics and tactical sight devices on popular platforms. 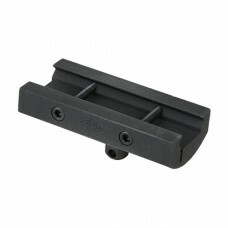 Each rail is CNC machined from a single piece of billet aluminium or stainless steel. 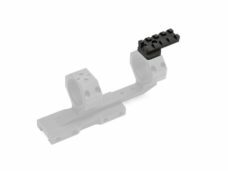 Torx screws are included for installation. 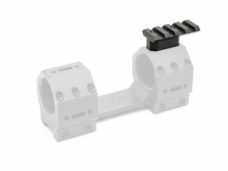 Adversus series of scope mounts and scope rings feature Scope Link interfaces situated all over the systems for attaching multiple optical accessories through the picatinny rails. 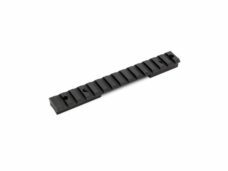 Rails are made of 7075-T6 aluminium and finished in hard coat type 3 mil-spec anodized black, each rail is CNC machined from a single piece of billet aluminium. 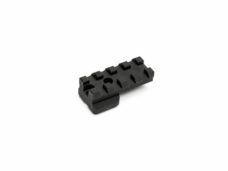 The Impetus series of cantilever mounts features Scope Link interfaces, situated on the caps, to attach multiple optical accessories using the picatinny rails. 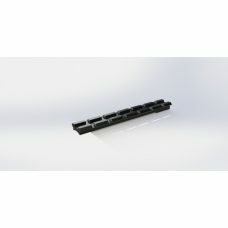 Rails are made of 7075-T6 aluminium and finished in hard coat type 3 mil-spec anodized black. Each rail is CNC machined from a single piece of billet aluminium. Base weaver per Remington 700, in acciaio, molto robusta, inclinata di 15 MOA. Slitta weaver per carabina CZ 455, 452 e ZKM versioni europee. Realizzata in alluminio aeronautico 7075 T6, le misure sono secondo lo standard MIL-STD-1913.